We are Peoria, Arizona's first choice for rust removal services. We can successfully remove rust stains from any exterior surface. Call today for a free rust removal quote! When you think of rust you usually think about coastline towns and cities or places that have high humidity, but rust is just as prevalent here in Peoria. Rust stains can be caused from battery acid, irrigation, fertilizers, patio furniture, air conditioning units and much more. Rust staining in concrete is one of the most difficult stains to remove. AZ Window Cleaners has the solution with a proprietary rust removal process. 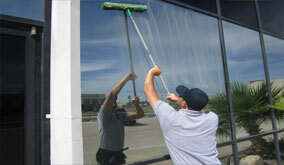 AZ Window Cleaners are the rust removal specialist in Peoria, AZ. 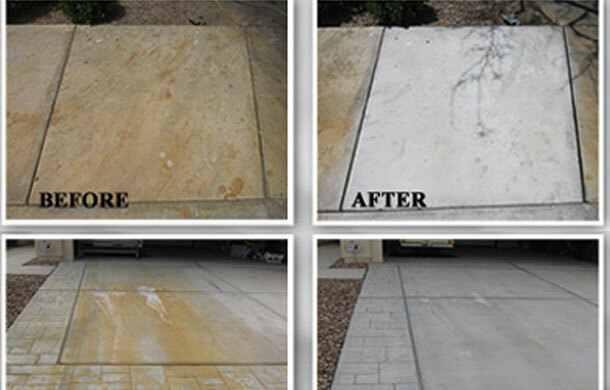 Our rust removal process will restore your Peoria property concrete and ensure and even deep cleaned appearance. Don’t waste any more time and money trying to remove rust and potentially damaging your property and call the Peoriarust removal experts. 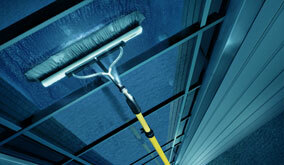 Experience and proper training makes AZ Window Cleaners the right choice for your rust removal needs. Affordable Rust Removal services in Peoria, Arizona.